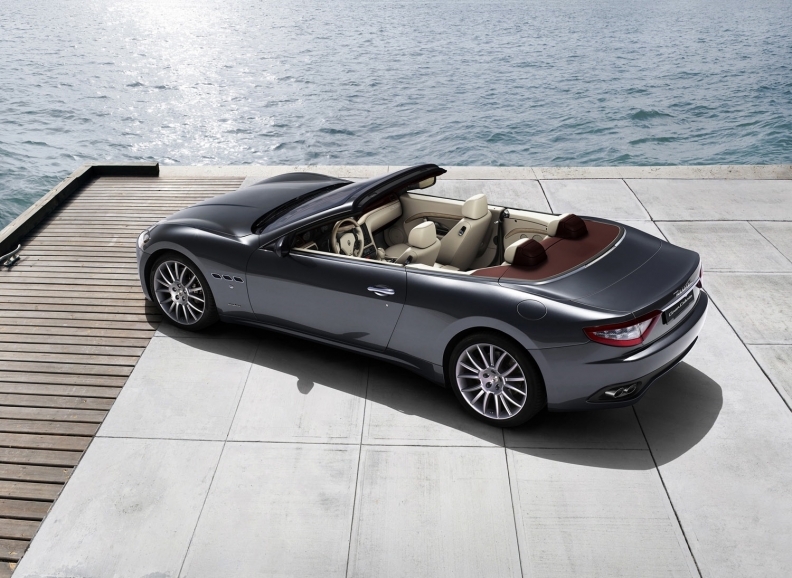 The GranCabrio, Maserati's first true 4-seat convertible, arrived in the U.S. in April. After adding its first four-seat convertible this year, Maserati will expand its lineup further in 2013 with a sedan smaller than its Quattroporte flagship. The new model is crucial for the brand to reach sales of 10,000 vehicles a year globally, the volume needed for consistent profits. Last year Maserati sales declined 43 percent to 4,911, and profits sank 85 percent to 11 million euros ($13.8 million). Mid-sized sedan: In early 2013, Maserati will add a sedan smaller than the Quattroporte. The car, initially expected to be an Alfa Romeo, recently was switched to Maserati because the brand could demand a higher price and already has global distribution. Fiat S.p.A. owns Alfa Romeo and Maserati. The new model will be a scaled-down variant of the next Quattroporte, keeping a front longitudinal engine and rear drive. All-wheel drive could be an option. Maserati says the car will sell for $60,000 to $75,000. GranTurismo: A freshening is planned in 2011 for the four-seat coupe. GranCabrio: Maserati's first true four-seat convertible arrived here in April, priced at $140,200, including a $2,100 gas-guzzler tax and $1,800 in shipping and dealer preparation charges. Maserati expects about half of the model's global sales to come from the United States. No significant changes are planned through 2012. Quattroporte: A redesigned Quattroporte sedan will debut at the end of 2011, with U.S. sales beginning in spring 2012. In June, Maserati CEO Harald Wester said the brand would add awd and stop-start technology to its next-generation Quattroporte. The luxury sports car manufacturer aims to reduce fuel consumption 25 percent in the redesigned car. Other fuel savers due are a V-6, not available before, and a more fuel-efficient V-8 as well as ZF Friedrichshafen AG's eight-speed automatic transmission, which already is available in the BMW 7 series and Audi A8. Maserati said the new Quattroporte should increase the brand's share in the global superluxury sedan segment to 8 percent from the current 3 percent. The company says superluxury sedans are priced from $125,000 to $150,000.